Microchip Technology has just announced two new boards by Diligent, part of its Arduino compatible chipKIT ecosystem: chipKIT WF32 board featuring a PIC32 MCU and a Wi-Fi module, and chipKIT Motor Control Shield for servos, steppers, and DC motors. USB – USB 2.0 OTG controller with A and micro-AB connectors for debugging and programing. Microchip has also released an embedded cloud software framework to create Internet of Things (IoT) applications with the board. There supposed to be a download link, but even after registration I was unable to download anything. 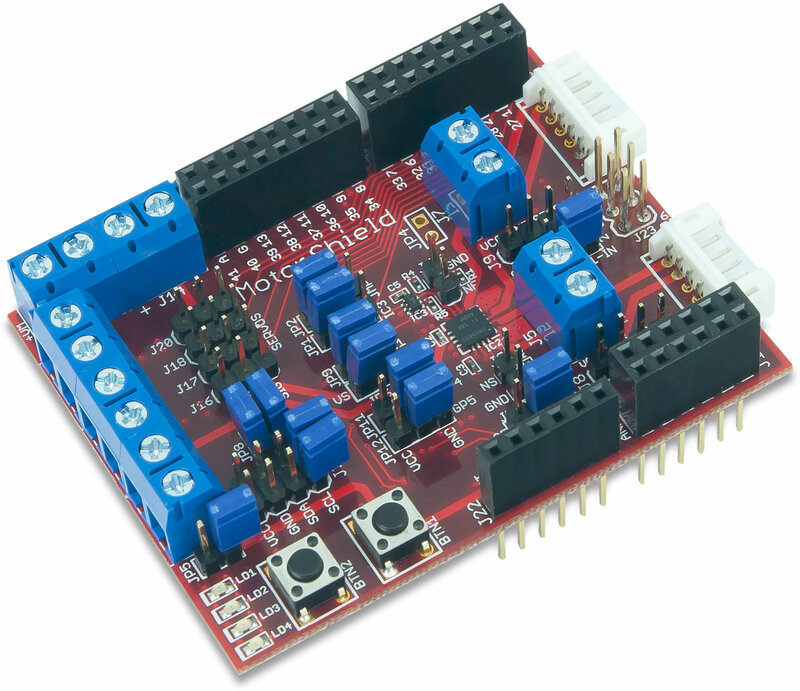 The board can be programmed using the Multi-Platform Integrated Development Environment (MPIDE) based on Arduino IDE, but with PIC32 support, and available for WIndows, Linux, and Mac OS X. Alternatively, you could also use Microchip MPLAB IDE for development, and the board is also said to work with all MPLAB compatible in-system programmer/debuggers, such as the Microchip PICkit 3 or the Digilent chipKIT PGM. Diligent provides the schematics (PDF and Eagle), PCB layout and gerber files, a reference manual, as well as necessary libraries and an HTTP server example on chipKIT WF32 product page. The board is available now and sells for $69. Usable with the ChipKIT Uno32, uC32, and – I’d assume – WF32 boards. The schematics (PDF), EAGLE v6.5 files for manufacturing, and a library containing the functions to access the buttons and LEDs connected to the I2C I/O expander can be downloaded on the shield page. 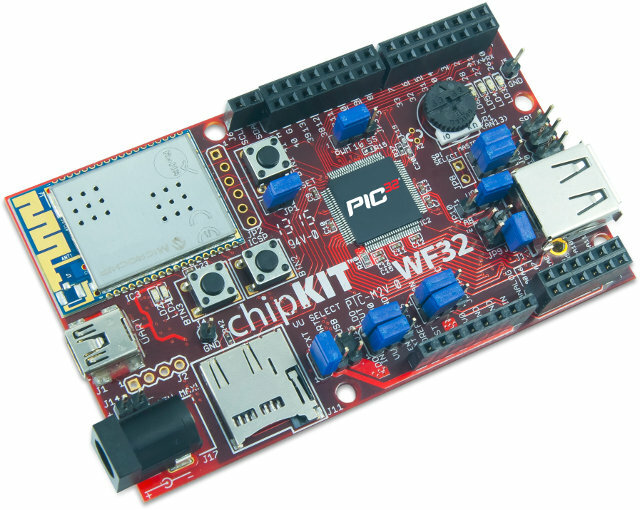 chipKIT Motor Shield is also available now for $29.99.